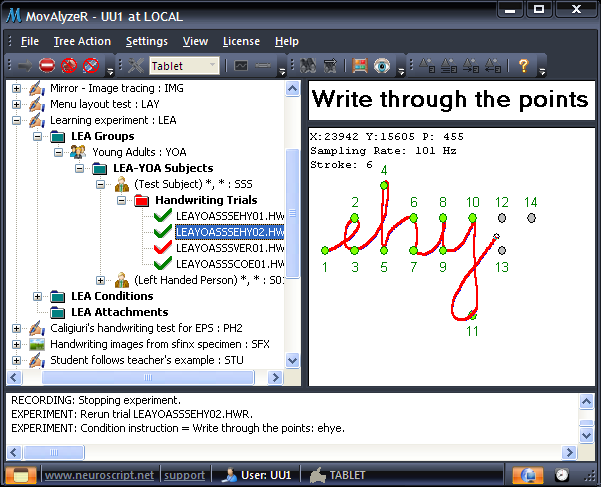 MovAlyzeR® — The movement analysis software solution. 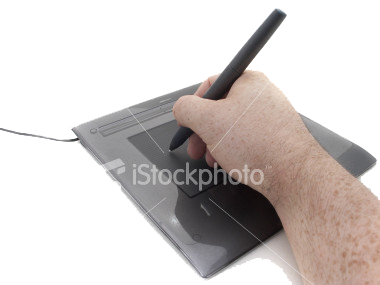 Movement analysis software for hand movement and fine motor control measurement and analysis. It is a system for design and conduction of research-quality movement tests for handwriting & drawing, goal-directed movements and submovement analysis. 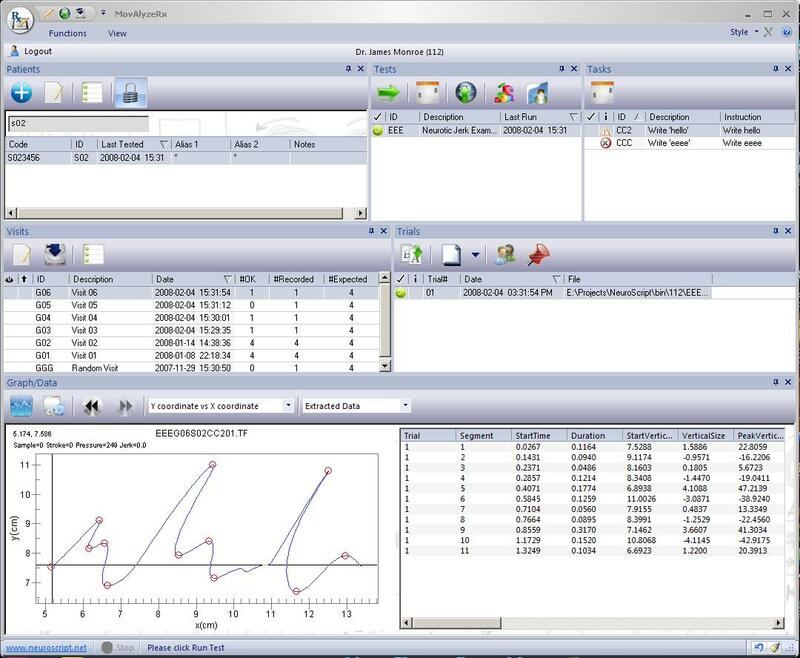 MovAlyzeRx™ — Movement analysis software for clinical settings. 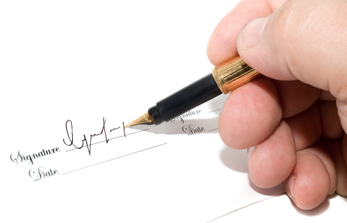 Quickly record and analyze visiting patients. Ideal for data collection without a concern for the integrity of experimental settings. 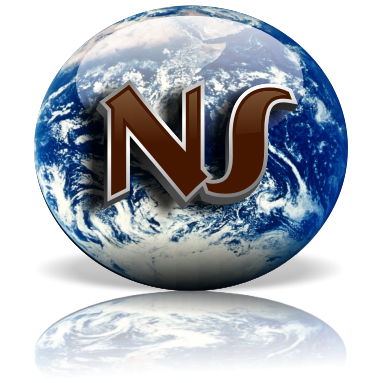 Movement analysis software with a quick and intuitive interface for collecting and analyzing data. Included with MovAlyzeR®. 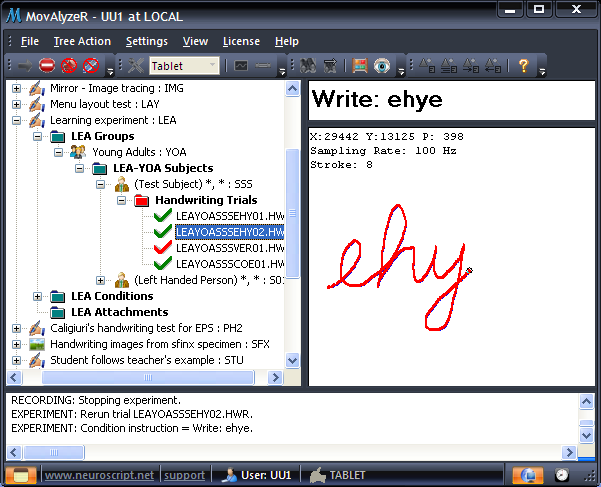 ScriptAlyzeR™ — The handwriting analysis software solution. 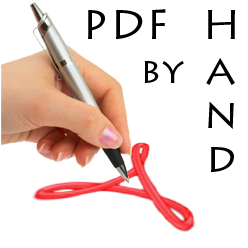 A sub-component of MovAlyzeR®, stripped of the visual stimuli and submovement analysis, ScriptAlyzeR™ is handwriting analysis software for professionals in handwriting analysis and forensic document examination. GripAlyzeR™ — The grip-force analysis software solution. 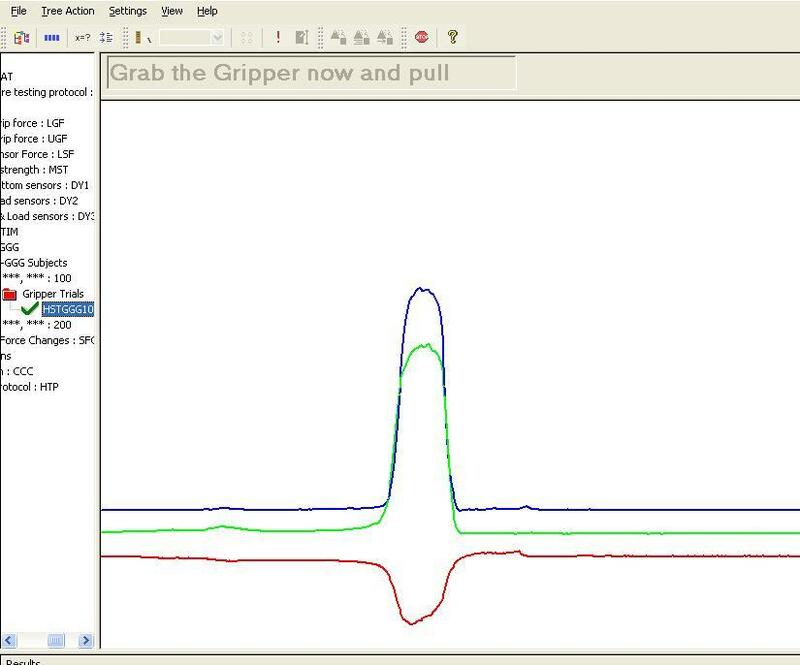 A grip-force analysis software package for grip-force measurements. GripAlyzeR™ is for experimental data collection and analysis and is to be used with gripper hardware that is designed for grip-force measurements.